Introduction: These windows are designed for high transmission at 400-750nm visible band. Both surfaces come with BBAR@ @ 400-750nm. Introduction: These laser windows have AR/AR coating at 532nm on both surfaces. 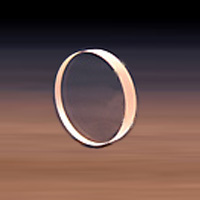 Introduction: These laser windows have AR/AR coating at 1064nm on both surfaces. Introduction: These laser windows are used for high transmission on some typical telecom wavelength bands.